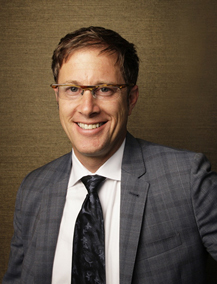 Dr Jordan Shlain is a practising primary care physician and health-tech entrepreneur based in California. He founded HealthLoop in 2009, a cloud-based clinical engagement platform that tracks patient progress, monitors clinical areas of concern, and automates follow-up care. He believes that the market for digital therapeutics is here to stay. Here he takes the time to offer his advice and share his experiences. Thank you for the interview today Dr Shlain. Congratulations on the success of HealthLoop. Can you tell us more about it? How did you come up with the idea for HealthLoop? HealthLoop was born out of a hard moment I had in my clinic, about seven years ago, and it was more of an ‘innovation by irritation.’ This was when Facebook, Linkedin and Google were all making my life easier, with ways to connect with people and to communicate, with file sharing and exchanging information and ideas. Meanwhile, I was in my clinic and I realised that technology was working against me, in every regard – because people that built anything for doctors were not doctors. If you are a Facebook engineer, you are going to use that tool yourself, so you are building something for yourself in a way, so you understand how the world works. In healthcare, clinicians weren’t building things for clinicians, and so a lot was getting lost in translation. I saw a patient that had pneumonia, she came in to see me and I gave her a prescription for antibiotics and my phone number. That was my technology – my cell phone number – and I said, “You can to call me any time”. So she went home, and seven days later the phone rang, and it was the emergency department. They called and said that she was there, in respiratory distress, and that she may not make it – they were putting her up in the intensive care unit on a respirator. My heart sank, and I slumped in my chair, thinking, “Why didn’t she call me?” I felt I had made it frictionless. And then my second comment to myself was, “Shame on me, why didn’t I call her”. So I tried to figure out why she hadn’t called. I tried to be this woman the day after I saw her, when she was in her bed and she woke up shivering, and she had been on antibiotics for one day and she asked herself one question. “Am I the same, am I better, or am I worse, than yesterday?” That’s really what we all do when we wake up when we are sick. She might have said to herself, “I’m worse, but it’s one day of antibiotics”. So unless she was in severe distress, she wasn’t going to call on day one. So day two – if she was the same she might not call, as she might want to give it a bit more time. But let’s just say she was the same after day one, the same after day two, the same after day three, and she is not calling. This means she is actually worse. Statistically, the rate of her not calling is greater than her calling. And the old role of medicine is, “No news is good, it is like they are not calling so they must be fine” – but there’s an assumption there that no news is good news but the truth is no news is just no news. Because news is data, right? But saying ‘no data’ is a ‘good data’ is a fallacy. So I decided to create an empathy code at that moment. I opened up an Excel spreadsheet, and if I was really concerned about you, I’d call you every day and ask you if you were the same, better, or worse than the day before. And I would score better as plus one, worse as minus one, and same as negative half. Then I started plotting people on a graph – it was cumbersome, but if you were getting better a couple days in a row, I would call you every other day instead of every day, and move you along the chart. So my goal was to get you off the chart. And eventually I hired a programmer, and then the patient could get an email, saying “Dr Shlain wants to check in with you today,” which no patients ever really had received before, from any doctor. And there was a link to “I’m better”, “I’m the same” or “I’m worse” and embedded in that link was their details. So when you say that I’m better a screen would pop up and say ‘thank you’. So it is like an almost one-click information exchange, but it enabled patients to tune into, and transmit, their subjective sense of themself. So every patient can be checked in with every day, by my HealthLoop dashboard. So I started to think of engagement as the new vital sign, and if patients don’t engage back with you, then you have to realise that there may be something wrong with them. Once you saw the need for HealthLoop, what initial steps did you take? And so we worked on HealthLoop from including the ‘better and worse’ answers, to including leading indicators of complications, and adverse reactions – whatever we could get as a leading indicator something bad was happening so that we could course correct early. What are your hints or tips for overcoming these early challenges? I try to break things down to simple pieces and look at them, and then get up in the clouds and look at the big picture that they go back down. I try to zoom in and out many times. In my head. I’m always trying to get to question right. Most people are just trying to find the answer. In my head. I’m always trying to get to question right. Most people are just trying to find the answer. How did you secure your initial funding for HealthLoop? I turned the idea into software, and then I presented the findings of it at a conference in Washington D.C. It was a policy conference about what Silicon Valley is doing for healthcare, and then someone said I should turn it into a company, and he gave me the initial half million in funding. And do you have any advice for budding entrepreneurs with regards funding? You better have a product that works! And you better have tested the market. You need to know how to find a way to get a test site. And you really need a little bit more than just the proof of concept stuff. Have you been able to show an impact from HealthLoop? We just did a multistate study in California and Nevada in ten different clinics. Eight hundred patients over eighteen months. It was randomised, looking at whether we could catch complications early, and the potential cost savings of this. This was a rigorous scientific study, and it was not funded by anybody that had an interest. The results showed that we saved five hundred sixty two dollars and fifty cents per patient. Over ninety days, we lowered the relative rate of complications by forty percent, decreased free admission to the hospital by forty two percent. Something many of our community members ask about is how important is it to remain clinically active when they are involved in entrepreneurial arenas. Can you please share your views on this? I’ve always kept one foot in medicine, and one foot elsewhere. I truly enjoy taking care of patients, it’s my soul food, one person at a time, making a difference. If I don’t have a foot in the water of healthcare and I focus on the rollercoaster of the entrepreneur, I believe that I will lose credibility amongst my people – my clinical colleagues. I will lose touch with what’s happening, and then I’m merely an observer, I’m not living it. Observing a profession is wholly different than existing in a profession. If you’re not living and immersed in medicine, then you’re only getting partial information, and you’re going to come to conclusions minus the nuance and likely stick your foot in your mouth when you’re talking to a clinician. Clinicians, working and toiling in the trenches have deep pride in their work..and if an ex-doctor, ‘entrepreneur’ shows up unshackled from the broken healthcare system with solutions, they will cast a jaundiced eye at us…so we need to be sensitive to the fact that we have left the guild of medicine. Observing a profession is wholly different than existing in a profession. How have you maintained a balance between your clinical practice and your other roles as a health-tech innovator? I work with amazing doctors that are willing to cover for me and support me so I could do my ‘entrepreneurial’ thing. But I’d always come back and catch up and cover for them too. I never wanted people to feel like I was doing stuff at their expense. You need to enlist your colleagues at work to become your champions too – you can’t just be like ‘OK, you guys, I’m out of here”. You need to support each other. And finally, what do you say to patients that are concerned about artificial intelligence in healthcare? The first thing I ask is, ‘What is artificial intelligence?’ And then I ask you to describe artificial intelligence and human intelligence – if you can’t do that, then don’t ask the question! So forget about artificial intelligence for a second, because I don’t like that term, so let’s say ‘technology’. Technology has been shown over again to improve process, accountability, accuracy and efficiency where humans and human intelligence are not capable of succeeding. That said, technology serves humanity not that other way around – right? If we can make diagnostic tools better, everybody should share and celebrate that- even if it means that some jobs will be threatened in the medical profession. All new technology will require a thoughtful integration and roadmap as to how humans and technology work together. The world is evolving at a rapid pace and all companies and professions will need to confront one form of existential crisis or another. In fact, that has been happening since the industrial revolution. There’s not really a company that exists that has always existed – except maybe one that makes beer…. We need to approach new technologies with consideration as to what is the transition from one to the other. It can’t be just ‘screw society’, because you want something faster. We need to say, ‘What is the impact?’ and, ‘How do we come up with a policy framework to allow this new technology to be introduced and move forward? We need to say, ‘What is the impact?’ and, ‘How do we come up with a policy framework to allow this new technology to be introduced and move forward?